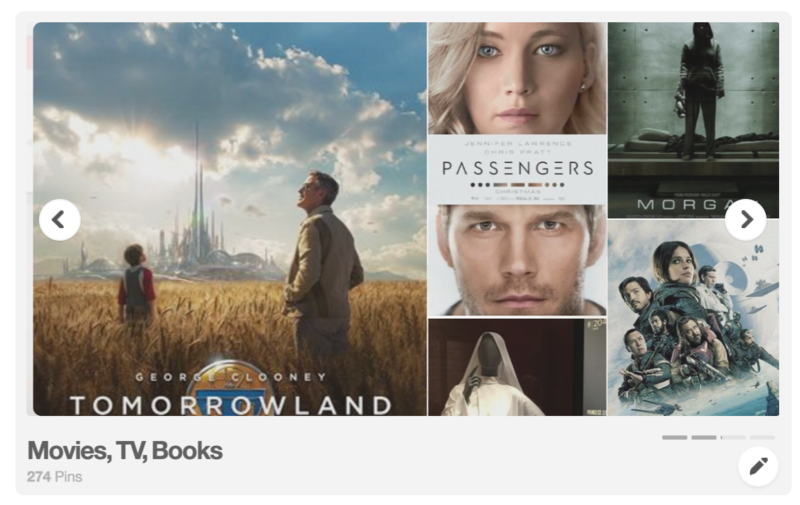 / How do I add a “Showcase” to my Pinterest Profile? 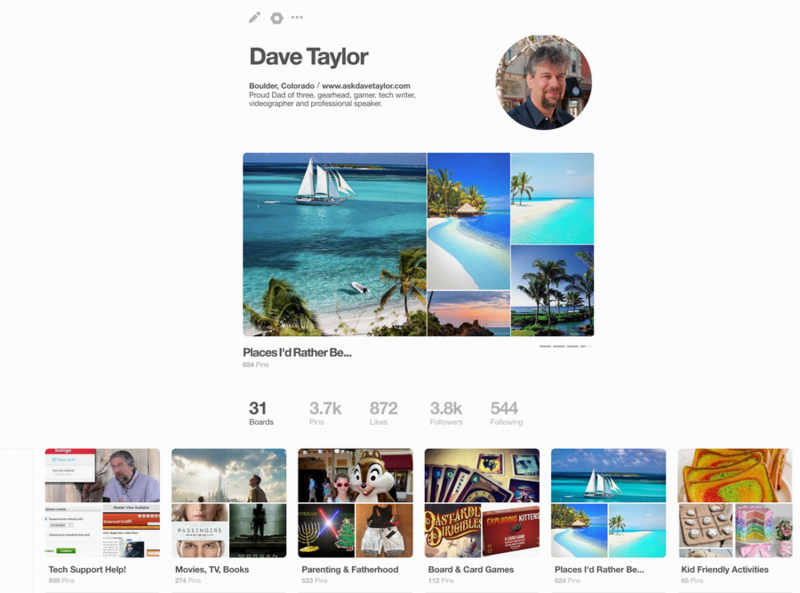 How do I add a “Showcase” to my Pinterest Profile? 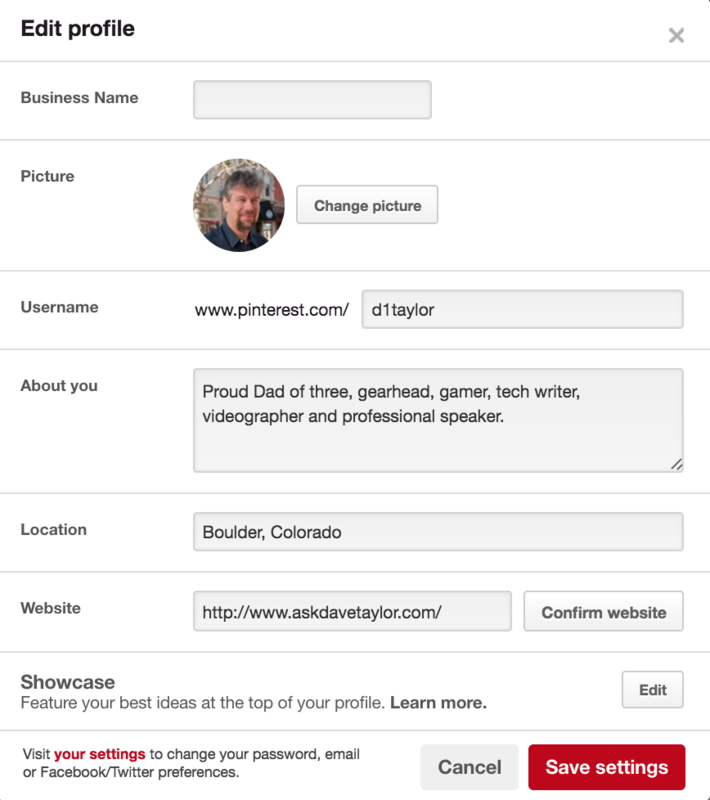 Looking at my Pinterest profile settings, I noticed there’s a new “Showcase” feature. What is it and how can I take advantage of it on Pinterest? 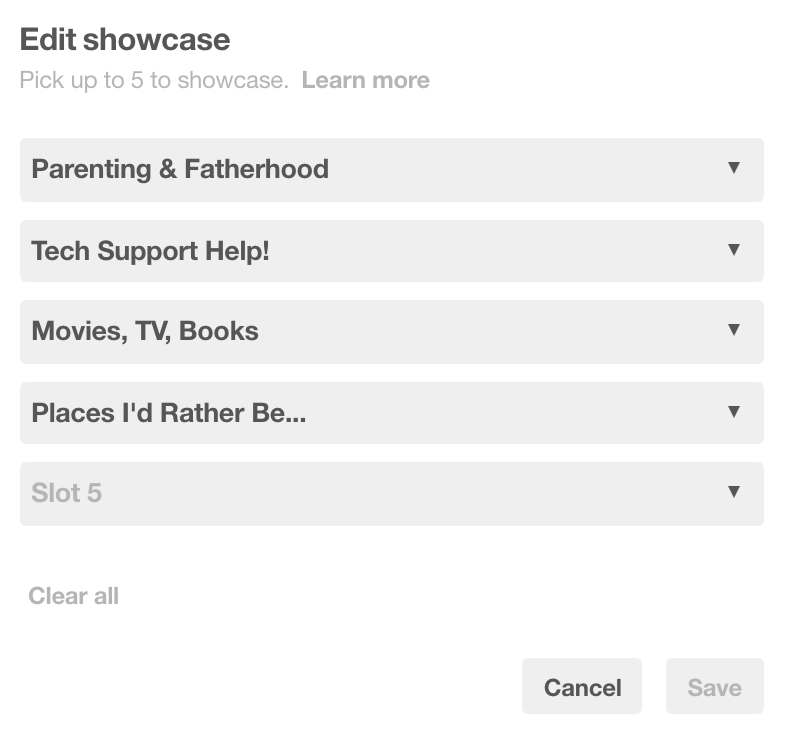 Pinterest keeps adding features to try and keep the site fresh and visually engaging, and one of the latest is what they call the “showcase”. 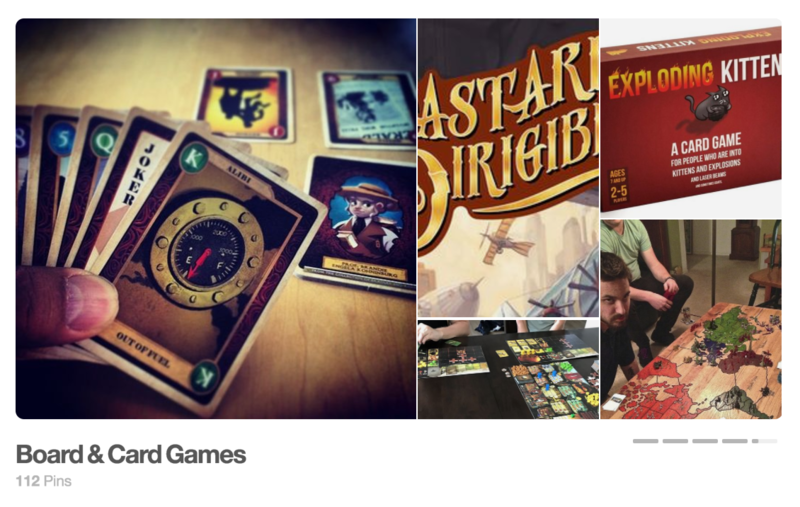 It’s a simple concept, really, based on the expectation that you have a lot of different boards: Pick a couple of them to highlight and they’ll be, well, showcased at the very top of your profile page. That’s it, no rocket science, nothing too sophisticated or complicated. But a fun idea! Fortunately it’s also designed to work perfectly well if you only have one or two boards that you actively work on, and a max of five, as you’ll see. Once set up, it’s also something you can easily ignore because it’s everyone else who’ll see it, not you! Enough chat, let’s have a look! It’s the big display in the middle of the screen: In my case it’s picking up tropical locales from my Places I’d Rather Be… pinboard. Below it is the usual set of boards with names and number of pins, and above it is my info and profile photo. Normal stuff. What Showcase does is add that central display that actually is a “gallery” so every few seconds it’ll slide to the left and a new set of images from one of the other boards you’re showcasing will replace it. Notice that when I put the cursor over my own Showcase I get left and right arrows and a pencil icon on the lower right. Handy if you want to fine-tune your Showcase once set up. That’s it! Now, if you’d like more Pinterest help, I gotcha covered, and I do encourage you to follow me on Pinterest too! Thanks Dave, for his post! It was very helpful! Thanks so much! This was incredibly helpful! Thanks a lot! Your step, by step process about how to add the showcase feature was very helpful, as my Pinterest account is in Spanish and I did not see/recognise anything close to “Showcase”, so your images help me a lot to recognise where this option is. Thank again! Thank Dave, it was very helpful.